What is the cheapest way to get from Orbetello to Isola del Giglio? The cheapest way to get from Orbetello to Isola del Giglio is to ferry which costs 30€ - 34€ and takes 1h 10m. What is the fastest way to get from Orbetello to Isola del Giglio? 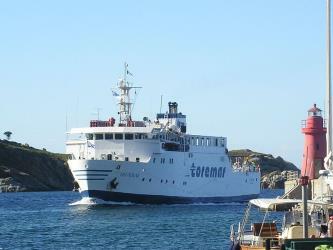 The quickest way to get from Orbetello to Isola del Giglio is to ferry which costs 30€ - 34€ and takes 1h 10m. How far is it from Orbetello to Isola del Giglio? The distance between Orbetello and Isola del Giglio is 26 km. How do I travel from Orbetello to Isola del Giglio without a car? 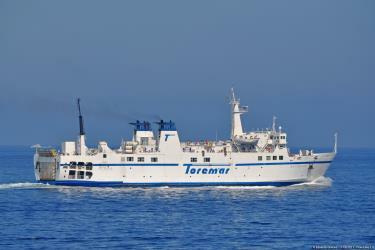 The best way to get from Orbetello to Isola del Giglio without a car is to ferry which takes 1h 10m and costs 30€ - 34€. How long does it take to get from Orbetello to Isola del Giglio? It takes approximately 1h 10m to get from Orbetello to Isola del Giglio, including transfers. Where can I stay near Isola del Giglio? There are 226+ hotels available in Isola del Giglio. Prices start at 85€ per night. 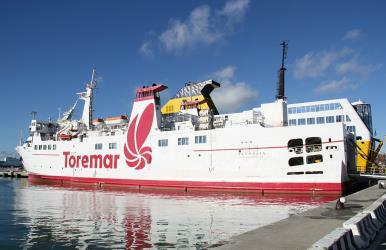 What companies run services between Orbetello, Italy and Isola del Giglio, Italy? 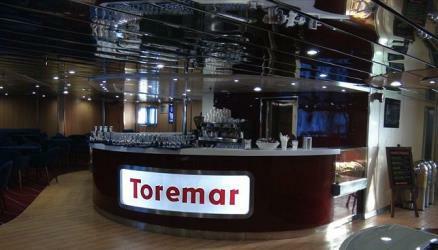 Toremar Toscana Regionale Marittima Spa operates a ferry from Orbetello to Isola del Giglio 3 times a day. Tickets cost 9€ and the journey takes 1h. Discover how to get to attractions and hotels near Isola del Giglio. Isola del Giglio is an Italian island and comune situated in the Tyrrhenian Sea, off the coast of Tuscany, and is part of the Province of Grosseto. The island is one of seven that form the Tuscan Archipelago, lying within the Arcipelago Toscano National Park. Giglio means "lily" in Italian, and though the name would appear consistent with the insignia of Medici Florence, it derives from Aegilium, "Goat Island", a Latin transliteration of the Greek word for "little goat" (Ancient greek: Aigýllion, Αιγύλλιον). Giannutri is a small island in the Tyrrhenian Sea off the coast of Tuscany, Italy; it is the southernmost island of the Tuscan Archipelago and it is a frazione of the comune of Isola del Giglio in the Province of Grosseto. The Argentario Aquarium also called Acquario mediterraneo della Costa d'Argento is a mediterranean public aquarium in Italy. It is located in Monte Argentario on the frazione of Porto Santo Stefano. It was inaugurated in 2001. Rome2rio makes travelling from Orbetello to Isola del Giglio easy. Rome2rio is a door-to-door travel information and booking engine, helping you get to and from any location in the world. Find all the transport options for your trip from Orbetello to Isola del Giglio right here. Rome2rio displays up to date schedules, route maps, journey times and estimated fares from relevant transport operators, ensuring you can make an informed decision about which option will suit you best. Rome2rio also offers online bookings for selected operators, making reservations easy and straightforward.